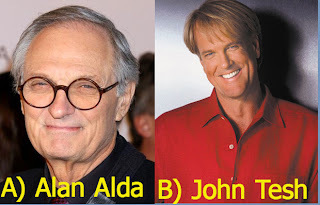 Which one of these is Alan Alda? Which one of these is John Tesh? You have 3 weeks to complete the exam. Good luck. I have ADHD, so I think it is only fair I should get an extra week to complete the quiz. I freeze up. I would also like an extra week. That is probz da most retared thing.